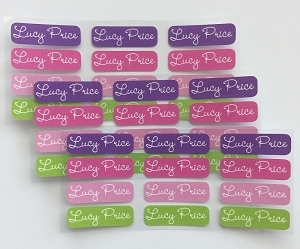 Perfect for labeling school uniforms, clothing, summer camp gear, cloth diapers, tote bags, jackets, blankets and more! 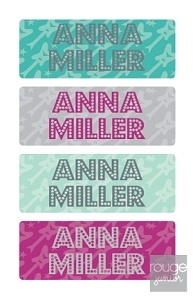 This set is a smaller version of our popular, designer clothing labels. 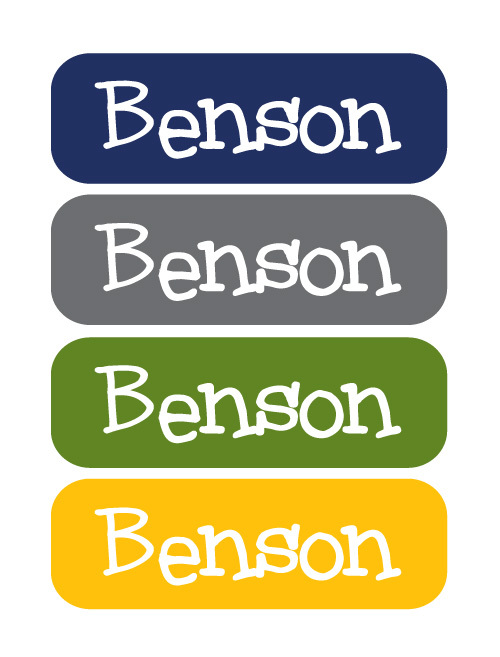 Labels and fonts look best when personalization is limited to fewer than 12 characters. A last name, first name or just a phone number works great! 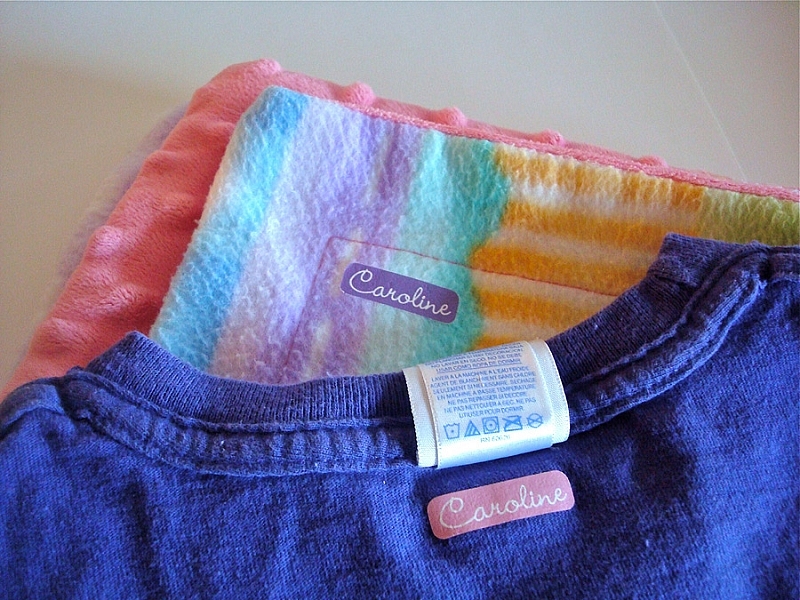 Our clothing labels are designed for a wide range of cottons and cotton-poly blends; they are not guaranteed to adhere to every type of fabric. 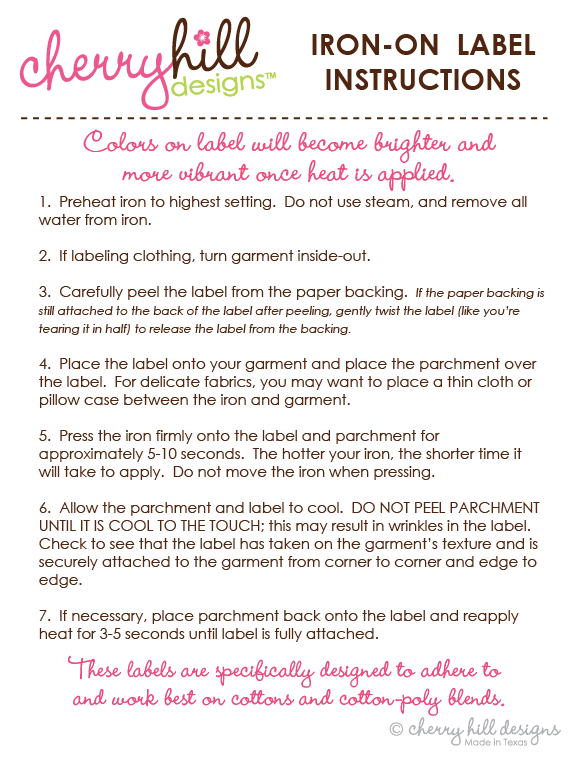 For best results, read and follow instructions step-by-step.